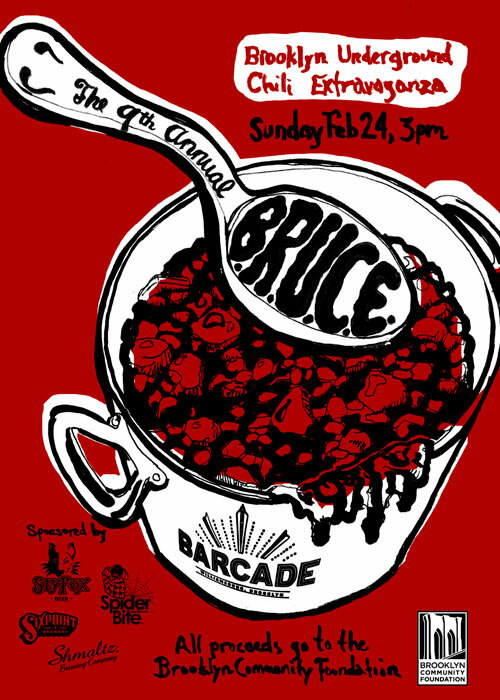 Swing by Barcade (388 Union Avenue) in Williamsburg The 9th Annual Brooklyn Underground Chili Extravaganza Eleven contestants will test their chili making skills, while ten judges will be picked at random from the audience to determine the winner. Wanna be a judge? Get there by 3PM and put your name in the hat. Otherwise, a $5 donation to the Brooklyn Community Foundation will get you as many free samples as you can handle.